Eliud Kipchoge, objectively, is one of the greatest runners of all-time, and by the end of his career may be the greatest male marathoner of all time. That’s great. He beat El Guerrouj and Bekele at a championship 5,000m (2003) in a field where he probably should have finished 5th. In 2004, he placed 3rd in a HOT 5,000m, behind Mr. G and Kenenisa Bekele. He also won gold this year in Rio in the marathon. I’m flagrantly omitting a bunch of other reasons why he is possibly the greatest of all time, but it hurts my brain so I will stop. We’re starting with some of his lighter material here. He’s clearly wishing ‘Finley’ a very happy birthday, which is a great sentiment. I like to think that Eliud made that cake himself. I don’t know exactly who ‘Finley’ is but I assume he is in the next picture. On my birthday, I like to think I carry a bit of ‘Finley’ with me, and that this cake was made for everyone. This one is also great. I assume Mr. Kipchoge meant to reply to one of his early tweets, accidentally dropped the necessary “@” symbol and threw in a spare ‘d’ in there. 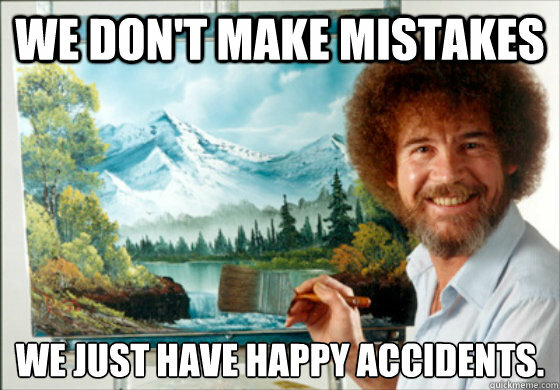 Whereas one of us might scrap the whole tweet in this scenario, Eliud elected to share it with is, reminding everyone that there are no mistakes, just happy accidents. Thank you, Eliud. We can all agree that our mothers deserve more praise. Perhaps have this tweet cross-stitched on a pillow and presented to dear mother on her big day. I imagine the gesture would be a hit. Aside from offering excellent training advice, Eliud also spends his time bridging tenuous diplomacy gaps, while running. What have you done for your country today? In addition to likely divulging the email address of a high-profile Kenyan athlete, Eliud congratulates a teammate on a race well run. He’s a real pro’s-pro in this regard, showing warmth and kindness whenever his fingers grace the screen of his internet telephone. Do you know that the fittest humanbeings are the DANCERS? We have started to enter some of his older material, which is where it gets VERY good. I imagine that Eliud was moved emotionally by some sort of dance routine either in-person or on the television. You have to respect that sort of acknowledgement from such an esteemed athlete. Kipchoge clearly has a firm grasp on the current moment and I strive to possess his heightened level of awareness at some point in my life. Whereas some world-class athletes may be relieved to have a press conference call cut short, Eliud is concerned. This tweet has crossed over into a realm unknown by many athletes, showing us that the power of the mind trumps the concerns of our physical reality. This is the type of enthusiasm for running AND life that all coaches dream of for their athletes. A fan of astrology? That’s an athlete I can get behind. Observe the power of the universe and the secrets that life hold will be yours. Last but not least, Eliud shows that aside from approaching training with a certain lust for life, discipline is a cornerstone of his greatness. Maybe the secret to success isn’t that abstract after all. DFL Podcast: Charles Philibert-Thiboutot joins the show!